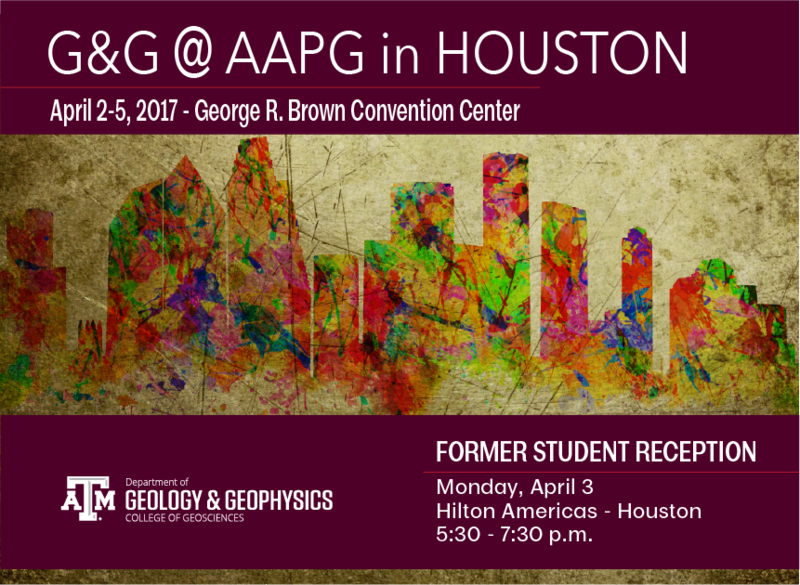 We invite you to join Dr. Mike Pope and other representatives from the department as we celebrate 100 years of AAPG and our Aggie spirit. Further details will be announced at a later date. Refreshments will be provided.